No matter what sector you’re working in and what social issue you’re working to address, every small charity shares the same challenge. Everyone is spending substantial time fundraising - whether it’s from the government, corporates or individuals. In this hugely competitive landscape charities are increasingly finding their offering pressed, having to either compromise their quality of service in order to be competitive or dedicating valuable resource to endless bid writing and event organisation. We’ve been looking at this for a long time; how do you create a sustainable income stream, and how can you make this fit with your overall mission? A registered charity can still be a social enterprise. If you’re already running a shop or selling items to raise money to reinvest into the activities that make a difference to people - just like Mums in need in Sheffield - you’re already halfway there. Of course, running a shop isn’t for everyone, it’s still time and labour intensive - and you need to have premises, volunteers and budget for overheads. First and foremost in creating a sustainable income stream is coming up with an idea. You need to identify something which fits into your overall mission, preferably which has a social impact, whilst raising funds at the same time. Wristbands, lapel pins and even giant daffodils are great for awareness and brand building, but if you want to create something which is truly impactful on a social level you need something that tells your story. Knightsof.media is a good example of this. Think about the cost of development time and resource, but also where are you going to get the funds to get your idea off the ground? Do you believe the concept is strong enough to warrant investing time in it? Can you allocate a proportion of your budget to it or do you need to look externally for funding? You have your idea and believe it’s strong enough to invest time in, but you don’t have funds. Crowdfunding sites are great platforms to use, but you only get the money committed to the project if you reach your full goal. In our case, our crowdfunding campaign didn’t reach our target, but it generated awareness and ultimately a single donor who believed enough in our idea to give us the full financial backing we needed. Bear in mind that for any new enterprise it can take up to three years for an idea to start generating a profit for you. A sustainable income stream is not an overnight solution to short-term cash flow. Our aim as a not-for-profit is to support small, independent charities working towards equality by helping to develop a sustainable income stream through these conversation cards. We really believe that by driving conversations around key talking points we’re building awareness, consideration and ultimately deeper understanding of the challenges arising from the lack of equality in our society. 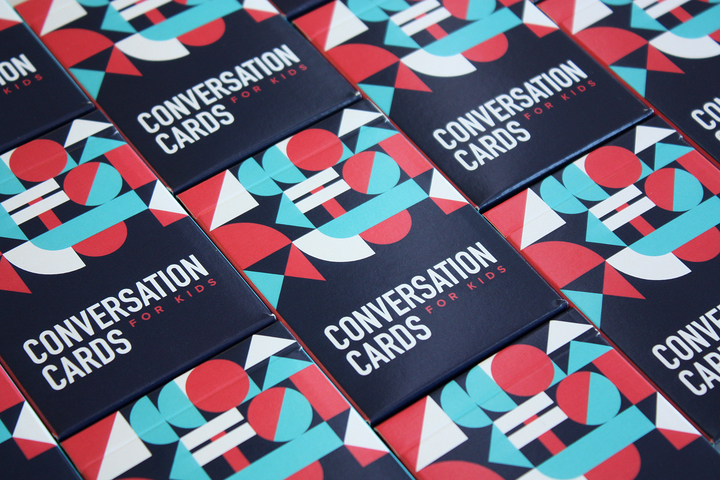 Our roots are in working within the VAWG (Violence Against Women and Girls) charity sector so this first set of conversation cards has been developed in association with our charity partners - specifically The Dash Charity. Together Equal drafted an initial list of questions which we then refined with Dash, replacing some with questions that came from their education team so we ended up with a deck that we are all really happy with. Our charity partners take the cards from us at cost, enabling them to retain all profits for themselves. We use the money returned to produce further sets of cards. 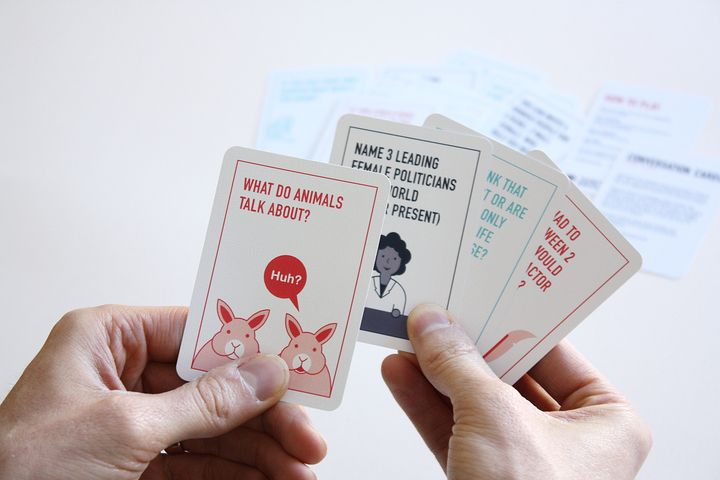 We ourselves raised our first round of funding indirectly via Kickstarter. Whilst our current cards address issues around gender we’re keen to support charities focusing on equality across all aspects of society. If you’re reading this and think it could work for you, please get in touch! Sarah is co-founder at Together Equal, specialising in producing conversation cards which raise money for charities while having a social impact by creating conversations which challenge social stereotypes. Follow Sarah and Together Equal @betogetherequal @sarahairdmash.